Benjamin W. Stephenson was a major stakeholder in Mandan's flour mill for 30 years. He was initially involved when it operated as the North Dakota Milling Association, later as Missouri Valley Milling Company, and beyond its merger with the Russell-Miller Milling Company. He retired as its Western Region Manager. He represents Mandan's connection into the national flour mill industry of the day. One uncle William Washburn and partner would start the Pillsbury-Washburn Milling Company in Minneapolis. His uncle Cadwallader Washburn and partner started the Washburn-Crosby Milling Company which today is known as General Mills. Benjaman W. Stephenson was born on October 1, 1860 in Galena, Illinois. He was the child of Charles L. and Martha Benjamin (Washburn) Stephenson, who traced their ancestry back to Revolutionary and Civil War heroes. 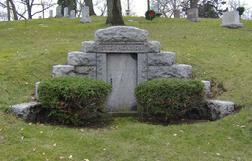 He lived there until July 1878 when he moved with his family to St. Paul. His father spent the majority of his life in the government service and was best friend with his wife's younger brother, Cadwallader Washburn. Benjamin W. Stephenson obtained his education in the public schools of his native city. After putting aside his textbooks was employed as clerk in a grocery store for two years. Subsequently, he worked for the St. Paul-based Northwestern Fuel Company. He remained in that city until 1885 where he occupied a clerical position with a wholesale dry goods busi­ness. His next position was with the freight department of the Burlington Railroad where he stayed for eight years. In 1893, he entered the flour milling business at Grand Forks, North Dakota working for the North Dakota Milling Association until 1897. He then embarked on his own in a milling venture at Morristown, Minnesota. He returned to fulltime employment with the ND Milling Association the following year as a sales agent in Buffalo, New York. In July, 1898, he returned to North Dakota, rejoining the ND Milling Association at its Mandan location as its Mill Manager. He was among the three partners which purchased the flour mill in June 1899. Together with John Newton and led by Hiram Lyon, the Missouri Valley Milling Company grew to eventually own and operate three flour mills in Dickinson, Bismarck and its largest in Mandan. Stephenson served as the corporate treasurer through 1907. He held the position of the Mandan mill's manager through 1909. In June of that year, the three partners would sell their holdings in the mills and eleven grain elevators to the Russell-Miller Milling Company. Hiram Lyon also sold additional grain elevators he owned. The men and their families relocated to Minneapolis to join its corporate management team. Stephenson served at the Western Area Manager for the Russell-Miller Milling Company. In 1909 Mr. Stephenson was united in marriage to Margaret Artz. He gave his political support to the Republican Party. While living in Morton County, Stephenson was involved in both public and business organizations. He was a director of the State Bank of New Salem and the State Bank of Hebron since their incorporation. He was also elected to the Mandan City Commission in 1910 and was also a member of Mandan's Commerical Club. In Minneapolis, he was an active member of the Civic & Commerce Association. His uncle Cadwallader Washburn left money in his estate to establish an orphanage in Minneapolis, initially known as the "Washburn Memorial Orphan Asylum." 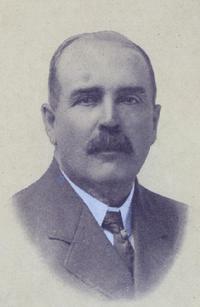 Stephenson would serve on its Board of Trustees and specifically Treasurer starting in 1911. Benjamin Stephenson was associated with the Church of the Redeemer. He supported social organizations including the Minneapolis Athletic, Interlachen, Lafayette and Automobile Clubs. He remained life long friends with Hiram Lyon. Both men and their wives retired to the Pasadena, California. Stephenson died on January 27, 1925 in Pasadena. His wife Margaret died April 13, 1950 also in Pasadena. Both are buried the family cript in Lakewood Cemetery in Minneapolis, Minnesota.